Designing a fillable PDF form is not always an easy task. You need to use a PDF form designer to design fillable PDF forms, but many of them may pose some challenges. Usually, you will not find any preset templates to create your desired PDF fillable form. 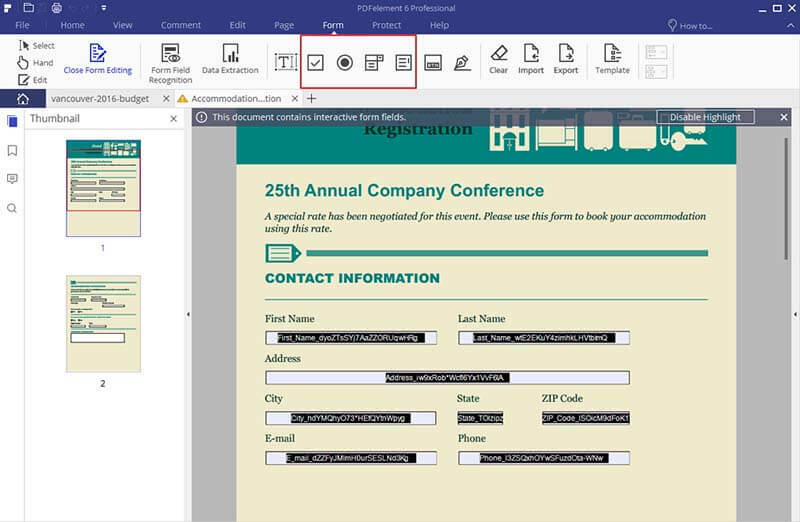 Luckily, this article outlines how to design fillable PDF forms using PDFelement. PDFelement is available for Windows and Mac OS X. This software will not only help you create and fill out PDF forms, but it will also provide you with free form templates. PDFelement is more than just a PDF form designing tool. It also lets you create new PDF files, or edit PDF files in any way you need. As well, it lets allow you convert PDF files to Word, PowerPoint, and Excel, Image etc. One of its most useful features is the OCR tool, which will allow you to edit scanned PDFs. Once you have installed PDFelement, launch it and then click on "Create PDF" and select the PDF file that you want to turn into a fillable form. You can also start from scratch by selecting a blank page and creating your own form. Just click on "File" and select "New > Blank". Now click on the "Form" tab. The top bar lists all the tools that can be used to design a PDF form such as add text field, check button, radio button, combo button, list box, button and digital signature. Choose an option and simply draw it within the document using your mouse. To edit the PDF form, you can click the "Form Edit" button under the "Form" tab. Then double click on the item that you want to modify. You can also adjust the size and alignment of these boxes at any time. Once you have created and edited the form to your liking, close the form editor and click on the field you want to fill. 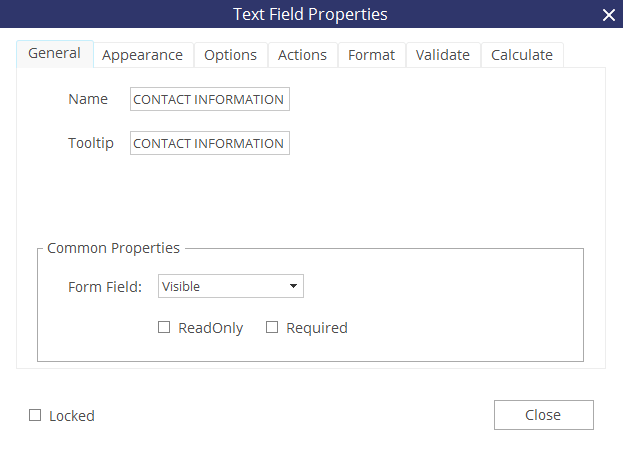 These field could be a check box, drop down list, or option to add text or objects. Whenever you click on a field, a relevant option will be revealed to fill that form. 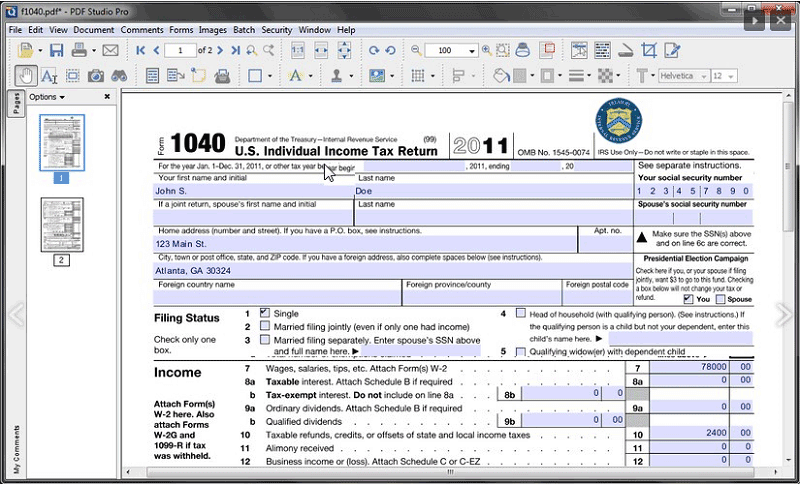 Once finished filling out your PDF form, you can save it to your computer. Click on the "File" button in the top left-hand corner and select "Save As". That's it! You have successfully created a PDF form and saved it on your computer. This is one of the top PDF form designer tools capable of designing highly-quality fillable PDF forms with ease. It is an editor that is simply designed, and helps in managing PDF documents without hassle. 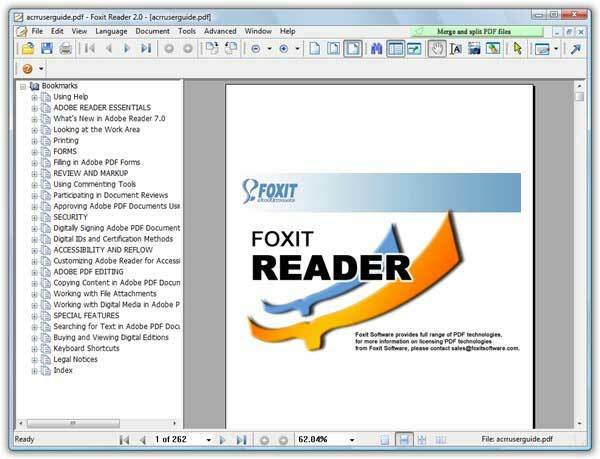 Apart from being a good form designer, Foxit boasts many other advanced PDF editing tools that allows for the editing and filling of forms. It is very easy to use, although it can be time-consuming due to all the separate plug-ins required to use it. 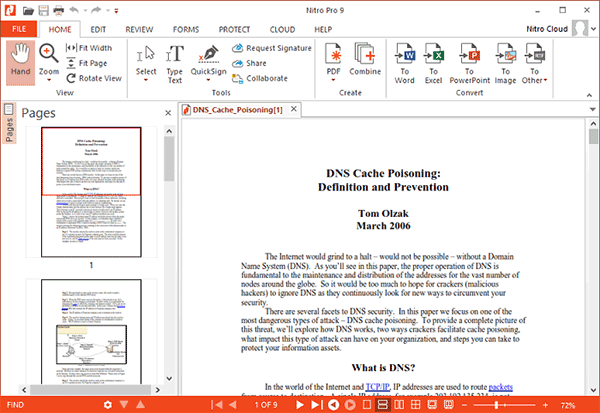 Nitro PDF pro is one of the most popular PDF editors on the market. It provides a wide range of PDF solutions to professionals. Nitro PDF lets you create fillable PDF forms and share them when necessary. 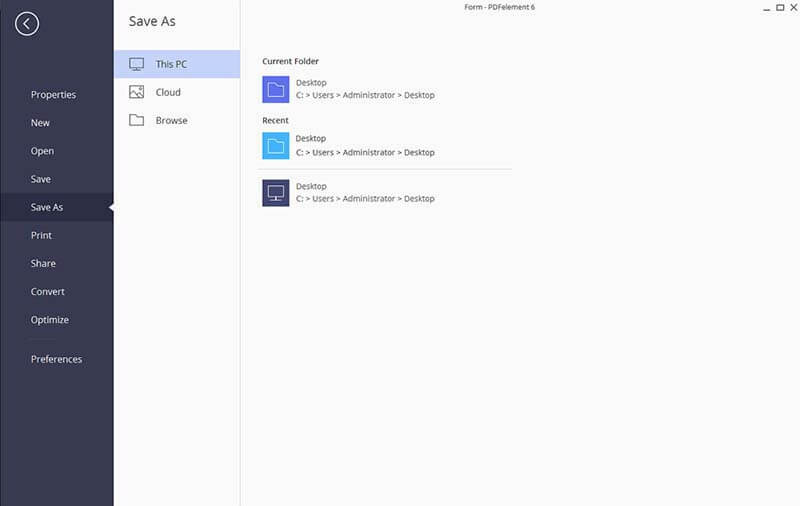 It also has cloud support, so you can share forms online. 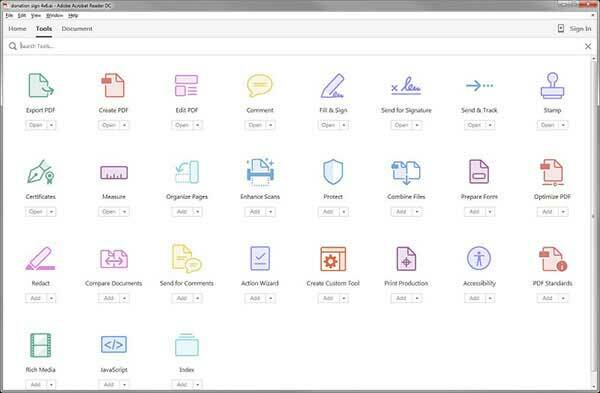 Nitro PDF Pro has a user-friendly interface, and another advantage is that it allows users to sign their created forms if needed. However, the only drawback is that it may be a bit slow, especially with large files. PDF studio is a great application that can be used to design and create fillable PDF forms with relative ease. It allows you to create PDF forms from scratch. If the form is already created, PDF studio lets you import and edit them. You can share the forms you create by exporting them to Google drive. PDF studio works well on Windows, but to get the best results you may have to upgrade to the professional version. Adobe Acrobat DC needs no introduction as it is one of the most well-known PDF editors available on the market today. It allows you to design fillable PDF forms and create them with ease. In addition, it boasts other important features that makes it a top class PDF editor. 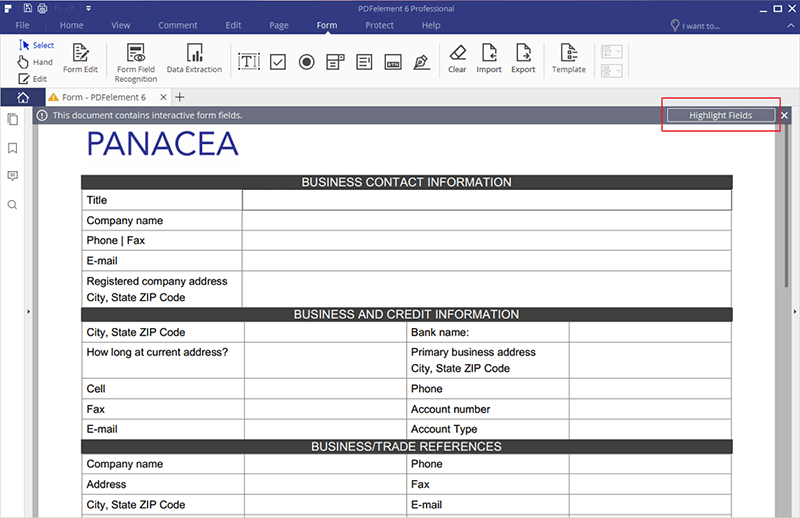 The created PDF forms can be signed digitally using this tool as well. Adobe Acrobat is among the best PDF form designers, but the one downside is that it is an expensive program to purchase in comparison to most other options.